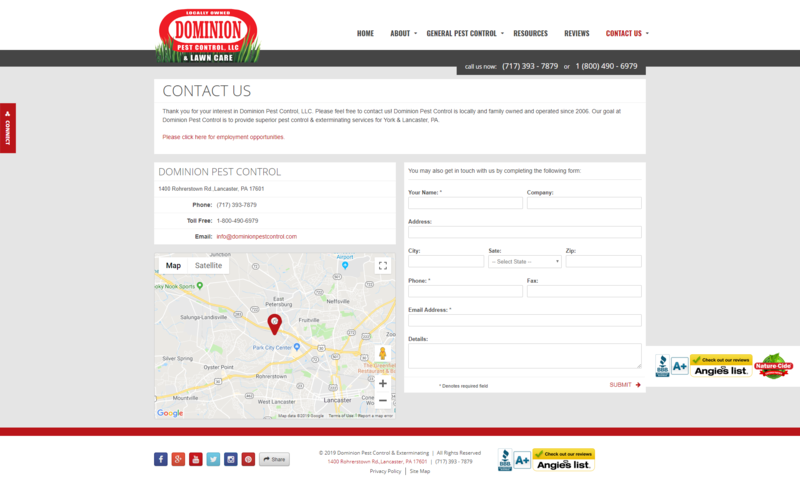 Dominion Pest Control, LLC | Portfolio | Sharp Innovations, Inc.
Greg Pettis and his team of expert exterminators were looking for a more modern site while keeping their prominence with major search engines. 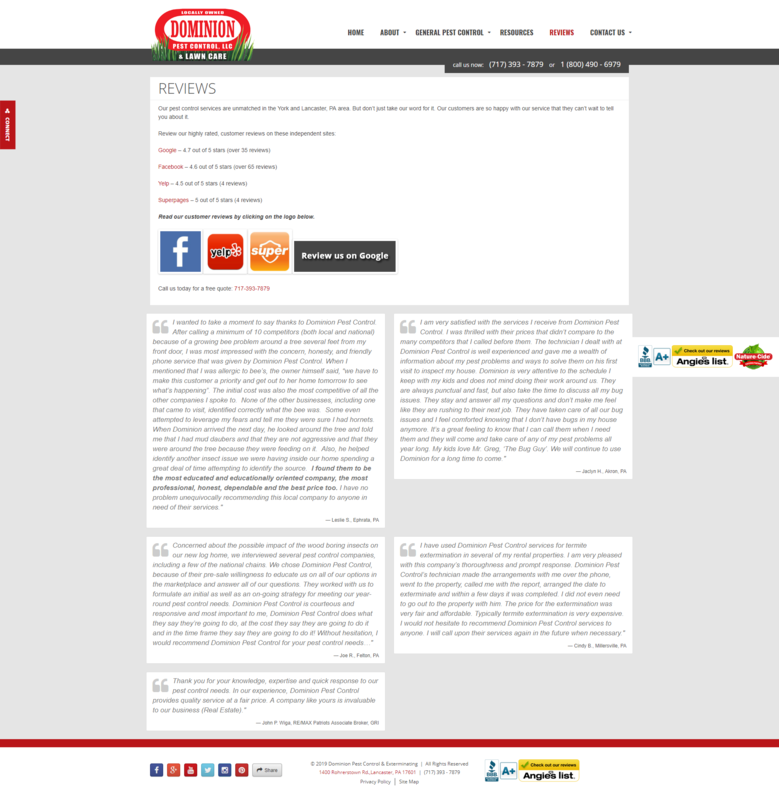 In order to do that, some major SEO cleanup needed to be done and the site’s overall messaging and focus needed to be clarified. The SEO team, including writers, on-page specialists and designers, worked with Greg and company to help them reclaim dominion over their internet challenges. 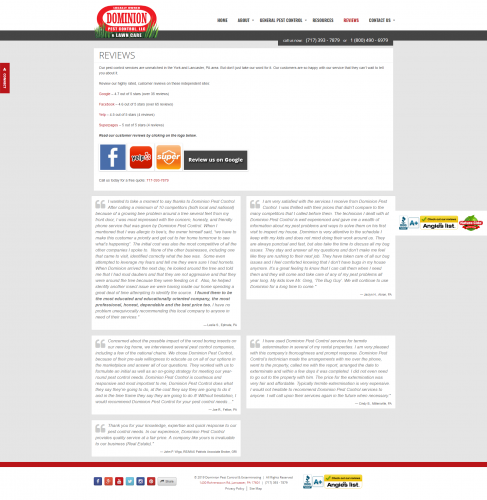 In the case of Dominion’s former site, inactive links, duplicate content, page errors, and the like proved to be a pest. Reining in the experts to reverse the damage was the first step in Dominion’s site re-optimization. In most circles it’s agreed that SEO is greatly affected by the quality and the organization of all on-page content. 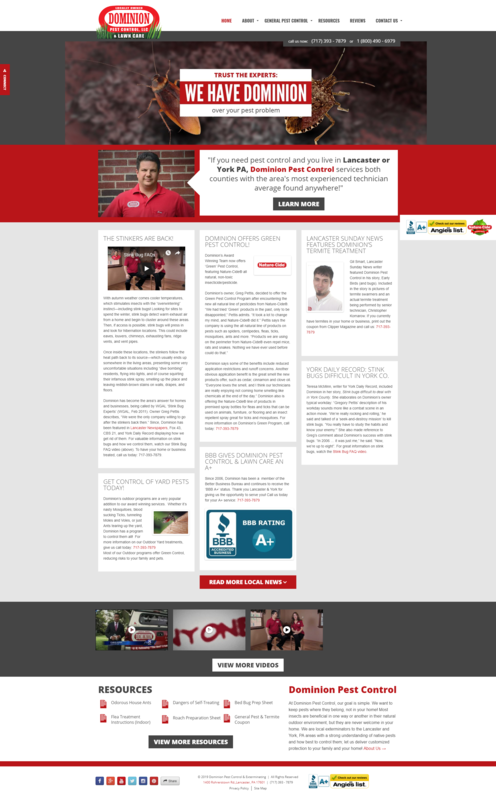 To that effect, Sharp’s writers put pen to paper in eliminating repetitive statements, providing focus, and simplifying the site’s orientation. Coupled with a keen design with eye-catching interaction, Dominion is now able to carry the same confidence in referring clients to their site that they have when responding to a rodent infestation.